We have our civil rights and civil liberties and we feel protected by them. But do we know what the difference is between them? For example, if something were to happen to you, would you know whether it was a violation of your civil rights or your civil liberties? Of course, it depends on the action and on the context. Read more to understand the issue. Civil liberties are meant to protect the individual from abuse from the government. They make up the framework of modern society, in which the individual has freedoms and rights. Some of the most important are freedom from slavery and forced labor, freedom of speech, freedom of assembly and association, the right to privacy, and the right to own property. The right to bear arms is a civil liberty, as well. All of these liberties are included in the Bill of Rights and in the Constitution and they are guaranteed to all citizens of America. 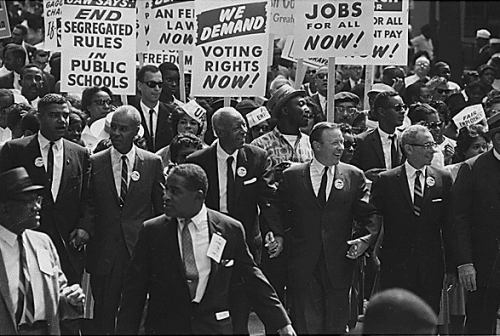 Civil rights protect the individual against discrimination in the workplace, in matters concerning education, housing, and access to any type of public facility. Therefore, a person would be in violation of civil rights if he were to deny access in a building of a person based on specific characteristics such as race, gender, religion, disability, sexual orientation, or other such specifications. Civil rights are included in the Constitution and are granted by the federal government by federal legislation or case law. So what is the difference between civil liberties and civil rights? Although many people are tempted to say it the other way around, civil rights ensure that you are not discriminated against. Civil liberties guarantee your rights and freedoms such as freedom of speech, freedom of from slavery, the right to own property, and the right to privacy. Therefore, civil liberties are protective, whereas civil rights offer the guarantee of equality among individuals. Also worth mentioning is the fact that civil rights protect an individual from discrimination he could be subjected to by his fellow citizens. On the other hand, civil liberties protect an individual from abuse from the government.